It is easy to blame Adam and Eve for the misery of humanity and death of Lord Jesus Christ. The people who were living in Lord Jesus' earthly ministry time manifested their sinful nature. The traces of that sinful nature is found in each one of us. We are responsible for Lord Jesus' death. Lent is a time when we prepare ourselves for Easter. 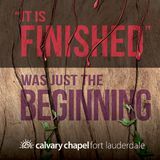 Lent Journey consists of 38 devotions to accompany us on this journey. 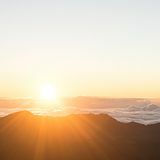 We are invited to the undertake the journey with Jesus and thereby prepare ourselves for the two big events that are the pillars of our belief system - the crucifiction and the resurrection. Lent is a time when we prepare ourselves for Easter. Lent Journey consists of 47 devotions to accompany us on this journey. We are invited to the undertake the journey with Jesus and thereby prepare ourselves for the two big events that are the pillars of our belief system - the crucifiction and the resurrection. 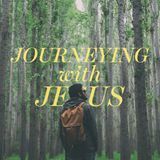 ‘Journeying With Jesus’ is a Bible plan to help us walk with Jesus through the last two chapters of Matthew. We stop to focus on Jesus' last days on this earth and what that means to us. How does that change who I am and Whose I am today? We will take time to dwell on Scripture and “bring it home” with questions that make us consider where we are on the journey of knowing Jesus. 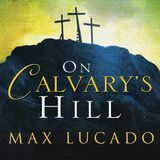 This plan will help you prepare your heart to celebrate the mystery of Jesus, the Messiah and Savior of the world. As you approach Easter, see how Scripture anticipates His coming by dropping clues along history’s path. There were clues in the tabernacle, the desert, the mountain, and even the vineyard. Join us as we unlock the mystery. What is Lent? It is a time in which we anticipate the victory of the light and life of Christ over the darkness of sin and death. As we journey from Ash Wednesday to Easter, we are reminded of the reality of our frailty and God’s redeeming grace. 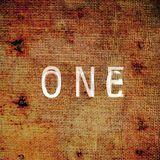 This study, brought to you by First15, is designed to accompany you on your journey through the Lent season, and provide encouragement as you spend time in God's presence and intentionally seek Him over the next 40 days. We hope this is a helpful resource for you! This study, brought to you by Tearfund, journeys through the Lent season, and will encourage you to spend time soaking in God's goodness. Read and reflect on ways you can channel His restorative love throughout your life. 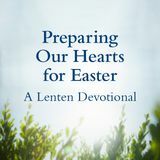 A Lent devotional material created by the pastors of International Churches of Hong Kong. 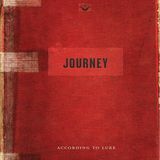 Journey is intended to assist our route towards Easter from the Gospel of Luke, a devotional emphasizes the theme of ‘journey’. 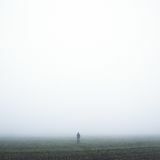 Both in Jesus’ ministry and His parables the notion of travelling is significant. Lent for Everyone is a devotional created and written by N.T. (Tom) Wright. For each day of Lent, there is a reading chosen from the Gospel of Matthew, plus a reflection by Wright. These readings have grown out of a project encouraging Lent reading in Northern England. This is the second in a three-volume series based on the Revised Common Lectionary of the Church of England. Jesus wasn’t lent. He was given. Which means, Here is why Easter doesn’t begin with Good Friday, but Bethlehem. Here is why Jesus is not conditioned by the rules you keep, but you are positioned by those He kept perfectly. Here is why death is forever defeated and you can walk the pages of God’s Word with washed feet. Here is why you are rising, even now as you read, and resurrection doesn’t culminate on Sundays. Here is Christ. Jesus is the Here I AM. Africans throughout history have shaped Christian thought and contemplative practice. 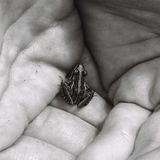 Starting Ash Wednesday, explore the Lenten themes of prayer, fasting, repentance, and alms-giving. Sojourn with Jesus’ disciples from his baptism to Holy Week. Abide with him in temptation. Hear the crowd shout—celebrating, then condemning. Watch Simon of Cyrene carry the cross. Witness the crucifixion with Mary. Join a biblical pilgrimage to prepare your heart for Jesus’ passion and resurrection. A Lent devotional material created by the pastors of International Churches of Hong Kong, a guide for decisions, a vision of the future and a challenge to lifestyle. It is a subversive material that undermines contemporary assumptions and defies social norms. It is all of this because it is the Word of God as recorded by Mark and others, and therefore is about the transformation of people and communities. In God’s eyes, we are more than enough. It’s why He sent His son to reconcile us to Him. Though we may never grasp just how much He loves us, at Lent we can take time to reflect on all He did for us. It's time to reject the message that we aren’t enough, and instead remember Christ died for us, just as we are. Explore the mystery that changed history! Video clips from the film Risen and devotional content written by pastor, author, and speaker Ray Johnston will help you experience the power of the Resurrection like never before during this Easter season. Churches interested in the Risen sermon series kit should visit www.outreach.com/risen for more info. 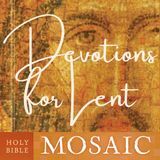 This daily devotional through the 46 day season of Lent, adapted from Holy Bible: Mosaic, brings together quotes, readings, and Scripture to help you focus your mind on Christ. Whether you are unsure about what the season of Lent is all about or you have been practicing Lent and the church year your entire life, you’ll appreciate the Scripture readings and devotional insight from Christians around the world and throughout history. Join with us and the church around the world in focusing on Jesus throughout the weeks that lead up to Easter. We all go through tough times. We all struggle and even suffer, even as Christians. The real problem comes when we allow the negativity of these events get into our head and produce in us a Victim Mentality. The good news is that with the help of God’s Word, you can overcome!